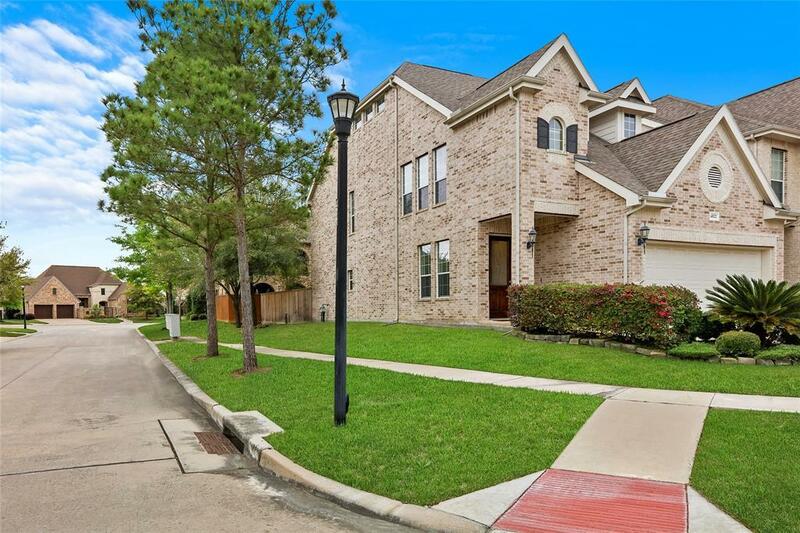 Quiet, gated community with easy access to all that Energy Corridor has to offer! 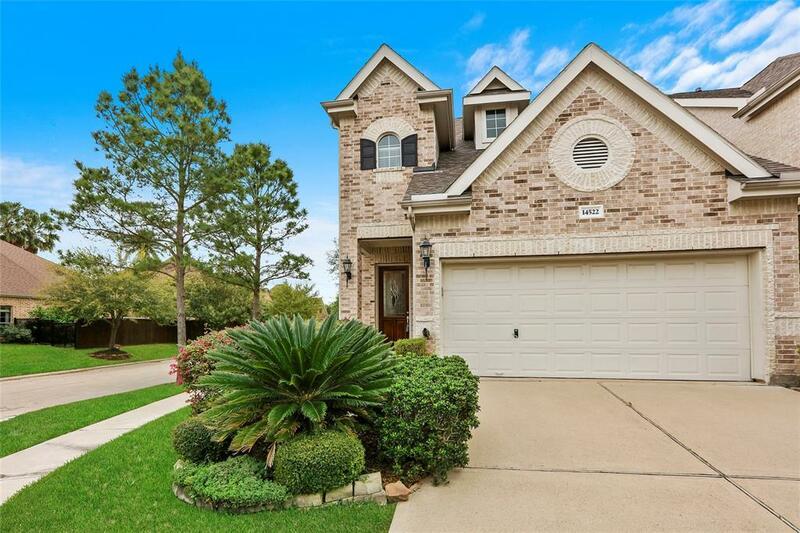 Beautiful custom floor plan on corner lot. 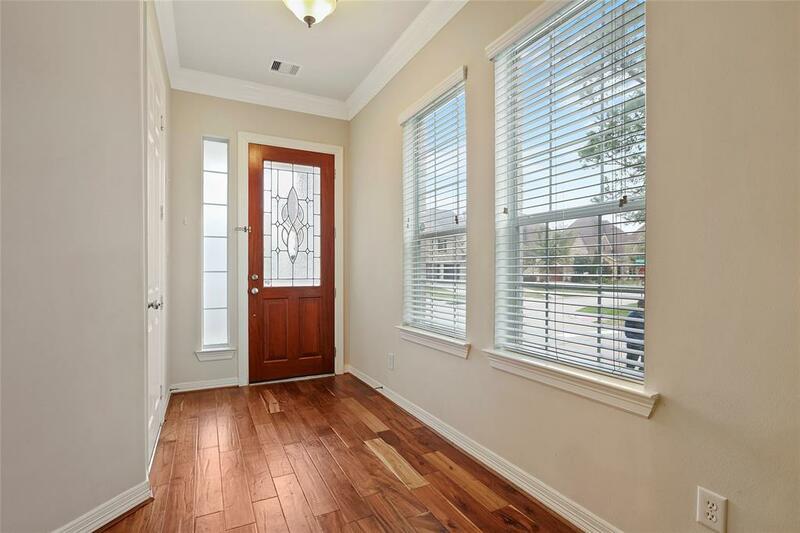 Lovely entry w/ leaded front door, crown molding. Spacious rooms with carpeted game rm, large closet & bath on 3rd floor, could be 4th bdrm. 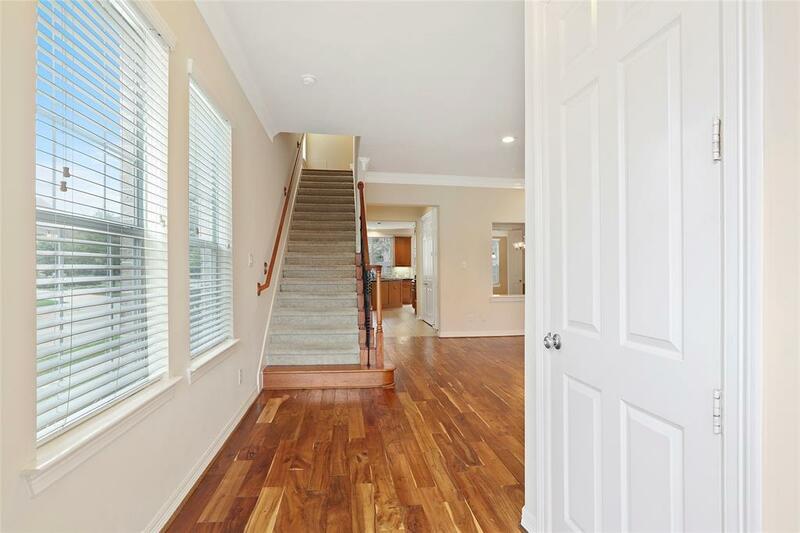 Hardwoods in Family rm, dining, kitchen, breakfast on 1st floor, carpeted master & 2 additional bedrooms on 2nd fl. Family rm features corner gas fireplace, blinds, recessed lights. Tiled island kitchen has black granite counters and black appliances, stained cabinets. 3 HVACs, 1 on each floor. Access to 2 tennis courts & swimming pool. Terry Hershey park trails close by. Ready to move in!